Most people think of sunshine and warm weather when they think of California. There are many different faces to the weather here, and though sunshine and warmth comprise one of those faces, there are others. We have rain in the winter, fog just about all year round, heat, cold, and if you’re in the right place, snow. Earlier this month I traveled through Donner Pass on my way to Nevada. You go through the pass while driving along I-80, on the east side of California, before you cross into Nevada and then get to Reno. It’s a beautiful area, with amazing views of the Sierras and surrounding lakes. The pass got its name from a tragic event in the winter of 1846, when the Donner Party traveled through the lowest notch they could find to cross the Sierras and make their way to California. The pass was the “lucky” traveling point, however, it was blocked by snow at the top, and the group had to spend the winter on the east side of the pass. Only half of the travelers survived the winter. Some resorted to cannibalism to survive. 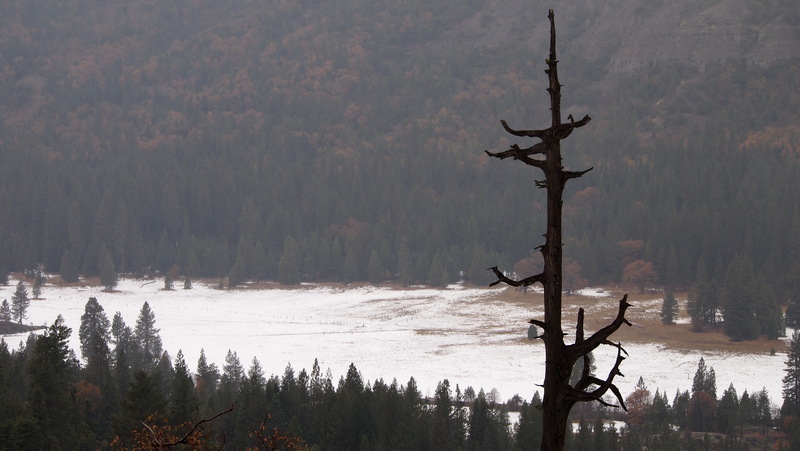 A tragic story indeed, but Donner Pass is a beautiful part of the country nonetheless. I have yet to see any snow here in Sonoma County, so spending part of my day driving through a snowy pass was actually quite exciting. Who knows, a ski trip or two may be in my future. 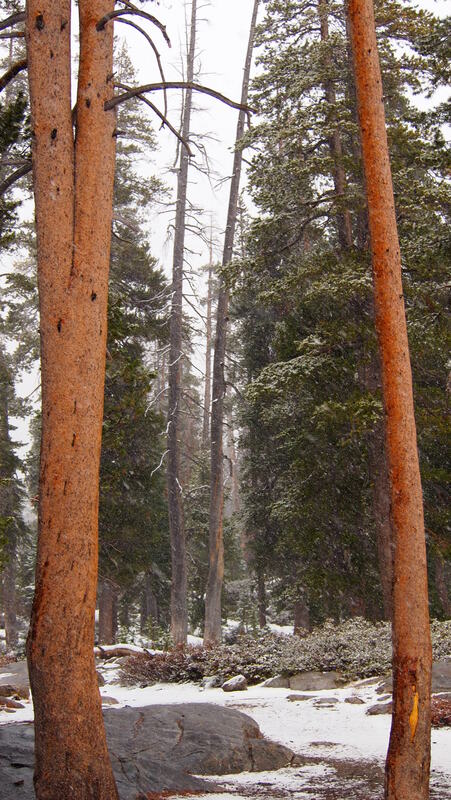 This entry was posted in Photography and tagged California weather, Donner Pass, Nature, Photography, Sierras, snow, snow in California, trees. Bookmark the permalink. If you go skiing, check out sugar bowl. It’s one of the better resorts in Tahoe. Also kirkwood is crazy amazing.